A game made in 2 weekends for the Movie Game Jam in February 2018. Also my first (and possibly last!) game with the Godot engine. I'm sorry if the piano doesn't map nicely to your keyboard! In Call/Response mode, your future boss Robert shows you a short sequence of notes (the call), then you, as Tom, have to replicate that sequence (the response) on your end of the piano, to score points. 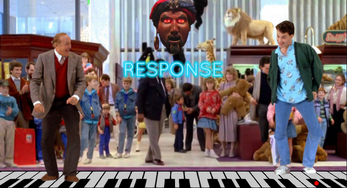 When you score points, Zoltar's face lights up (your points can also go down if you play incorrect notes). 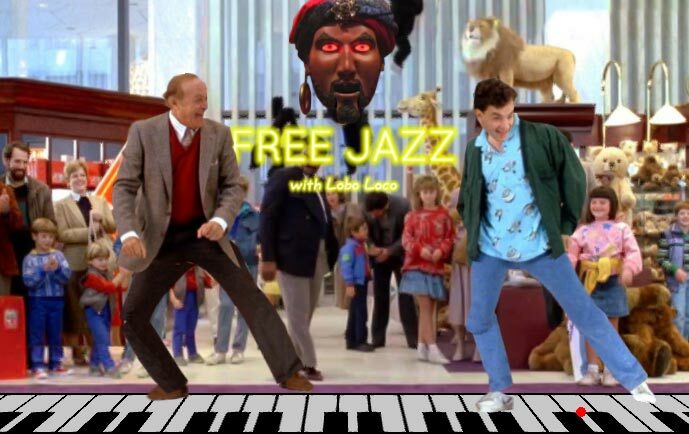 In Free Jazz mode, you are free to try and improvise some jazz using both pianists. The backing tracks are by Lobo Loco (downloaded from http://freemusicarchive.org). Windows and Linux builds haven't been tested. If the program asks for internet access you can safely deny it - it doesn't need it.